The Wexford Volunteer Fire Company is an all-volunteer, non-profit organization located in northern Allegheny County, about 20 minutes north of Pittsburgh. We have been in operation since 1921 and are the official fire protection service for the Township of Pine. Our primary response district is about 17 square miles and an estimated population of around 14,000. The Township of Pine is a bedroom community but does feature a commercial corridor made up primarily of business, mercantile, and restaurant uses. The Wexford VFC is always open to recruiting new members, and we have volunteer opportunities ranging from firefighter roles to non-emergency roles. Simply put, if you have an interest in volunteering, we can put you to work for us. All that is required is the time that you can provide. The benefits you will receive through developing truly unique relationships and challenging yourself to learn new skills along with much more are immeasurable. Visit our recruitment page for more information. We maintain a fleet of ten vehicles kept at three stations within the Township of Pine. The fleet consists of three engines, rescue truck, 95′ tower ladder, tanker, brush truck, two squads, and a command vehicle. We also operate a UTV with capability for brush fires and remote patient removal. Our most critical asset is our membership, made up of about 50 volunteers. We have a diverse background from students, plumbers, engineers, and everything in between. Our members range from 14 to 75 years old. We are a dedicated group committed to serving the community. 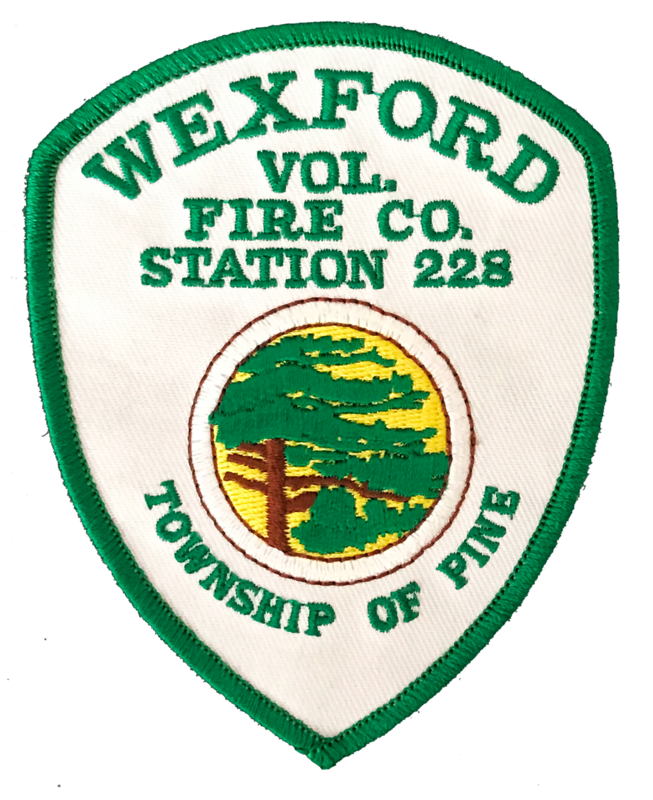 Welcome to the Wexford Volunteer Fire Company’s home on the web! Whether you’re just visiting, looking for specific information, or considering membership, you should find a lot of information on these pages.